Can I bet with my Visa card? Two confirmed Everest contenders will clash in the Concorde Stakes which looms as one of the highlights on the Chelmsford Stakes program at Randwick. Star sprinter Redzel makes his return in Saturday’s Group Three Concorde (1000m), a race he won last year during an unbeaten spring preparation which included victory in the inaugural Everest (1200m) at Randwick. 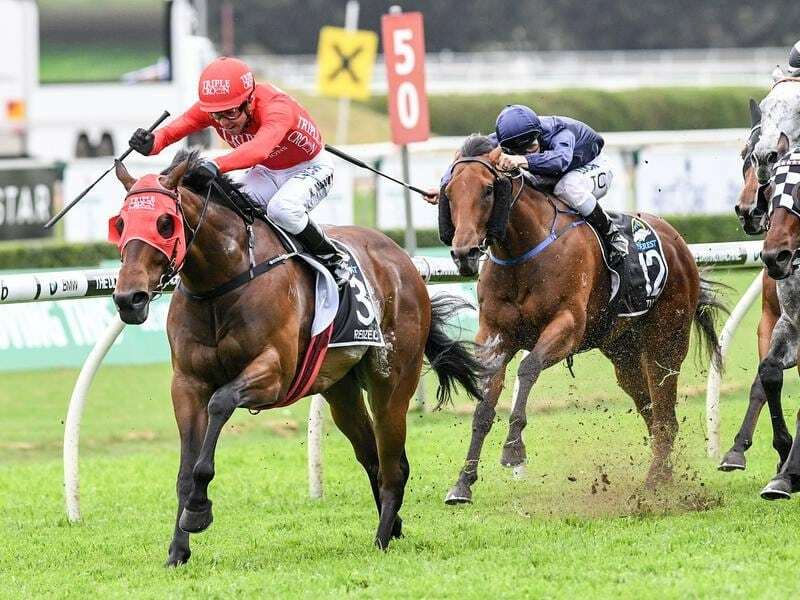 Redzel is locked in again for a slot in October’s $13 million Everest and his eight Concorde Stakes rivals on Saturday include the Gai Waterhouse and Adrian Bott-trained mare Invincible Star who is a confirmed Everest runner. Redzel was the $1.95 favourite for the Concorde on Friday ahead of Invincible Star who is the only other horse under double figure odds at $2.70. Co-trainer Peter Snowden is delighted with Redzel’s preparations which have included an impressive barrier trial win at Rosehill on August 20. “He’s the same as he was last year,” Snowden said. “There’s some nice speed there and he’ll probably be able to sit off one or two leaders and hopefully have the last crack at them. Invincible Star has not raced since being overhauled in the final strides by subsequent Royal Ascot winner Merchant Navy in the Group One Coolmore Stud Stakes (1200m) at Flemington last spring. Bott told Racing NSW stewards this week that Invincible Star had undergone arthroscopic surgery to remove bone chips in both knees soon after the Coolmore. Invincible Star has impressed in two barrier trials leading into her return including a near 10-length win in an 850m trial at Randwick on August 13. Want more racing news? Cups Betting delivers you the latest horse racing news from all the major thoroughbred cups and feature races.